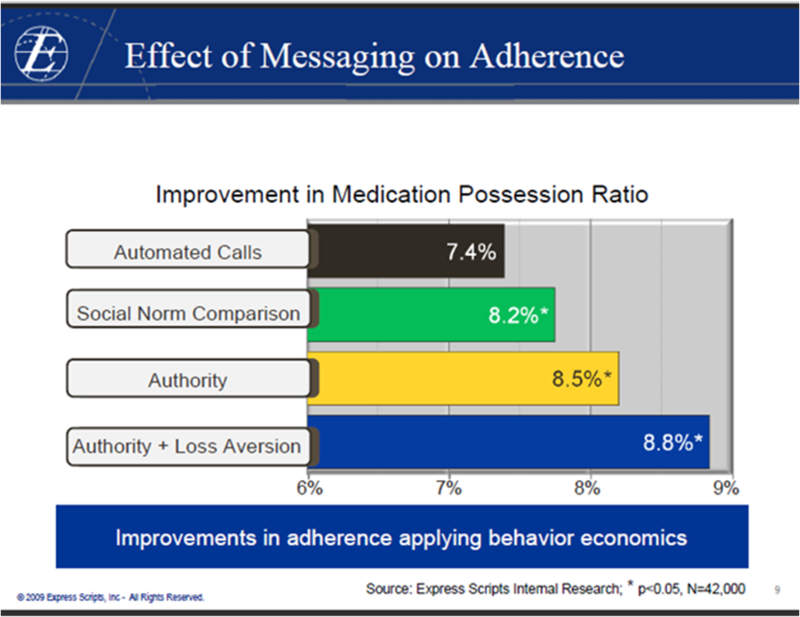 One of the big questions I’m often asked is how automated calls can impact Medication Possession Ratio (MPR). This is both a technology question, but also a messaging question. I was happy when I recalled this image from an Express Scripts investor presentation.